Mind mapping is a powerful tool we can use as leaders to balance our logical thinking processes with expansive, innovative thinking about how to approach our work. We can also better understand and achieve our objectives with our teams. 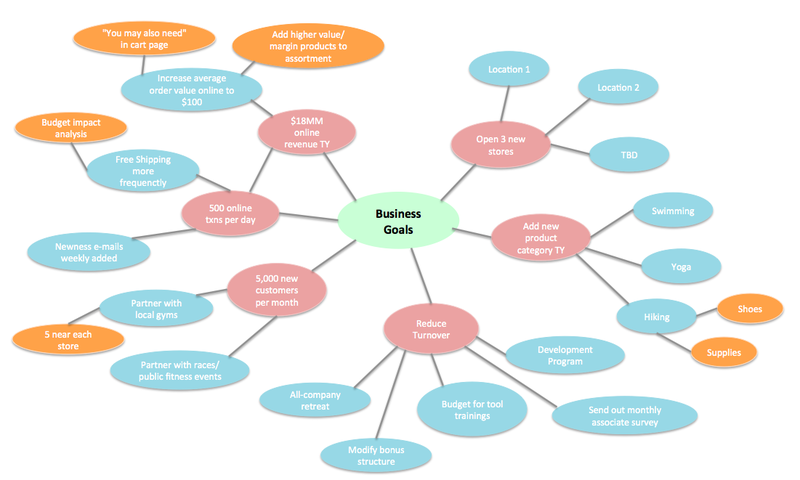 In this post, I will describe the benefits of mind mapping I have experienced, the key aspects of mind mapping that make it impactful for leaders and teams, a how-to guide for getting started, and explained examples. When we mind map, we begin with a central topic or idea. By mapping a concept or your team’s vision, the leader gains clarity of how the team is structured and how all the pieces of the team’s objectives fit together. The same can be done for a project topic or to prepare for a meeting. 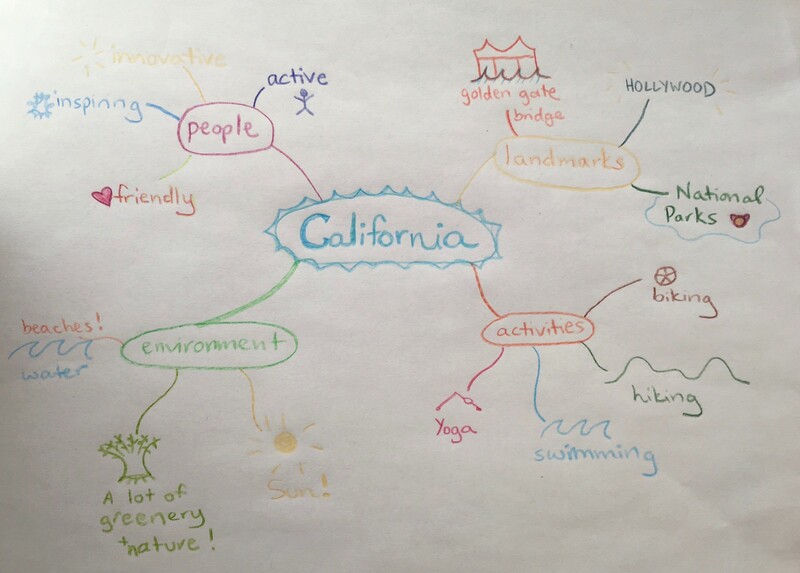 Just like any map or visual representation, mind maps help us get complex, vague phenomena down on paper and we can then gain clarity and move forward. Another important aspect of mind mapping is that it challenges us to think expansively or non-linearly. Many times, in structured working environments where we have processes, timelines, and to-do lists, we get caught up in continuing to do things the same way over and over or approaching a new project or team structure in the same way as in the past. This approach may seem efficient or acceptable but it can actually inhibit success and limit potential. You can use past processes and learning but mind mapping challenges us to continue to free associate and add newness with each new map. Mind mapping unlocks creativity, given its radiant nature, and is a perfect tool for brainstorming. Finally, mind mapping is a great collaboration tool because you can use it with your team to better understand a topic collectively or to brainstorm together in a meeting. 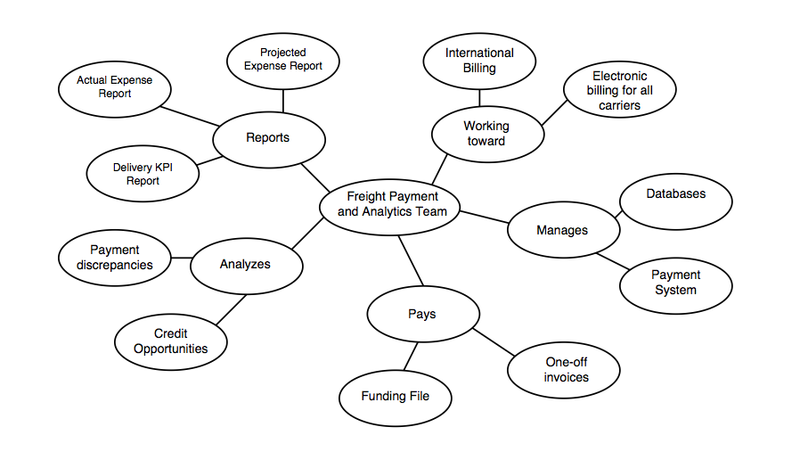 The map can be a representation of the team’s thought process and mutual understanding of a topic, project, or team plan. Mapping out a new project together enables everyone to understand the thought process behind it and, as mentioned above, allows for contributions from everyone participating. As I talked about in Awake Leadership, alignment is so important in order for teams to move forward cohesively toward objectives. 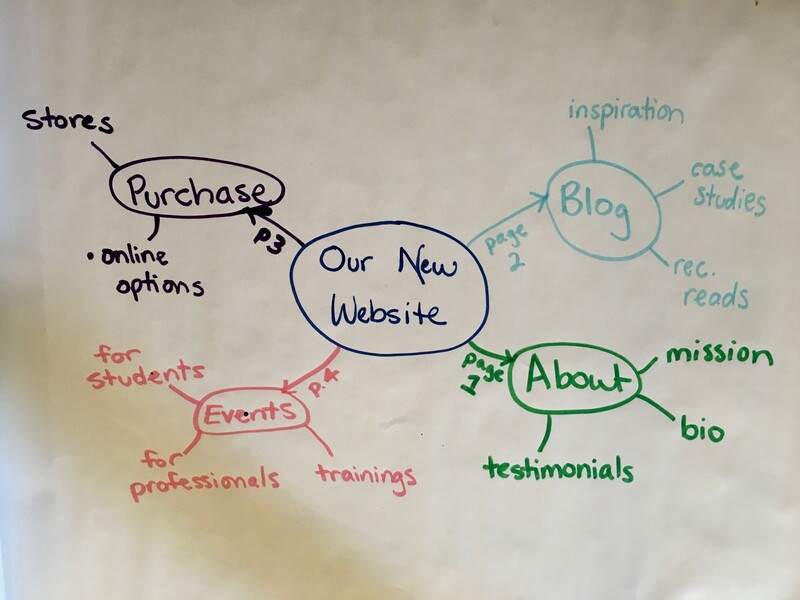 Mind mapping is a great communication, alignment, and collaboration tool. Ready to try it out? Here’s a step-by-step approach for making your mind map. Among the steps below I have added completed applied examples to look at as you make your own. Begin with a topic. As with learning or trying anything new, start with a topic that interests you and you will find enjoyable to map. You can always start with a topic that is non-work-related for your first map, to get the hang of it. Leadership topics can range from your team or role at your organization, a project, a meeting topic, etc. Do you have a complex project in front of you? A complex objective to meet? Let’s map it out and see if we can gain some clarity on how to delegate, plan, understand, communicate, or think differently about how to approach it! 2. After you have chosen your topic, begin to branch the first layer. Create at least 4 sub-topics or branches off of your theme. What are natural sub-components or your central theme? Peek at my additional mind map Examples Explained if you need some inspiration. 3. Continue to branch. After making your first round of branches, create a second layer with sub-sub-topics. 4. Pause to observe the two layers. How is the organization unfolding so far? 5. Continue to branch or iterate. You can continue your map with a third layer or start over. If you feel you’d like to reorganize your map, begin with the same topic but create a new map, with the first layer organized differently. 6. Share it. Discuss the map with your team or your leader — whether it is finished or not! After making the map, you may have new insights about the topic or ways to communicating the topic to your team or leader. You may realize what parts are unclear or need further development. If it’s a project or meeting topic, maybe you can now begin to order the sub-topics in terms or chronology or relevance. 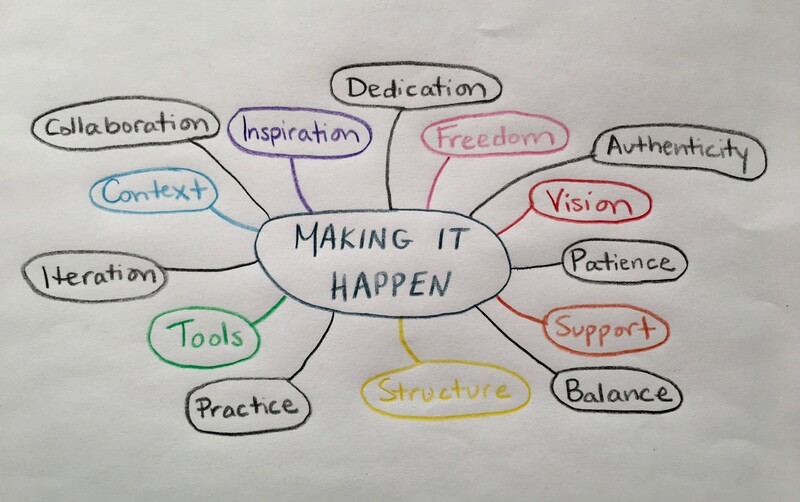 Remember: Mind mapping takes practice and iteration. There is no perfect mind map. Be patient as you practice and create your maps. Some may be just for “fun” and some may be for function… or, hopefully, for both. Like any tool, with time, you’ll see how it works best for you and your team. I found, as mentioned in my book, that it worked best as a tool at our weekly team meeting for aligning on our team’s current structure, mission, and objectives. Mind mapping is used in 3 of the 7 sections of my book! I also mind map regularly for fun and function in my everyday work and life. 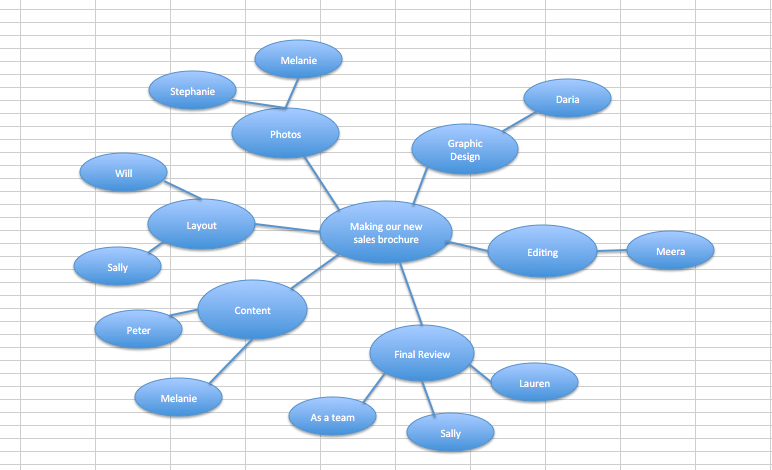 Mind maps are powerful tools and you’ll figure out how they fit best into your work and your team’s framework. Challenge yourself to use them to be a radiant, innovative thinker and collaborative leader in your work and your life. Here are my example mind maps explained and the example mind map from one of the Awake Leadership exercises. Try the following exercises this for deeper understanding, to practice expansive thinking, or to practice communication and collaboration for brainstorming and alignment in a team meeting. If you would like to discuss mind mapping for leadership, have questions, or want to work together on a mind map, please e-mail me. Check out Tony Buzan’s amazing website and resources for more on how-to and general mind mapping ideas. Thanks for reading! If you liked this please clap to the left. This post was original posted on the Awake Leadership blog. Systems engineer, leadership strategist, writer, and yogi. Founder of Awake Leadership Solutions. Author of the Awake Leadership and Awake Ethics guidebooks.